With two kids in high school, it seems like we always have some sort of project or study group happening at our house. Recently, both The Boy and Leelee had major projects involving creating videos for science. This was followed the very next week by Leelee having to record another video for German. It's crazy! The kids have, thankfully, rotated whose house is hosting the project meetings and recording sessions. Feeding a house full of teens every Friday and Saturday night could get expensive very quickly. Leelee loves hostessing her study groups because it's an excuse to make snacks. 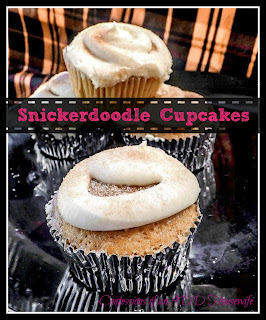 Like these Snickerdoodle Cupcakes. 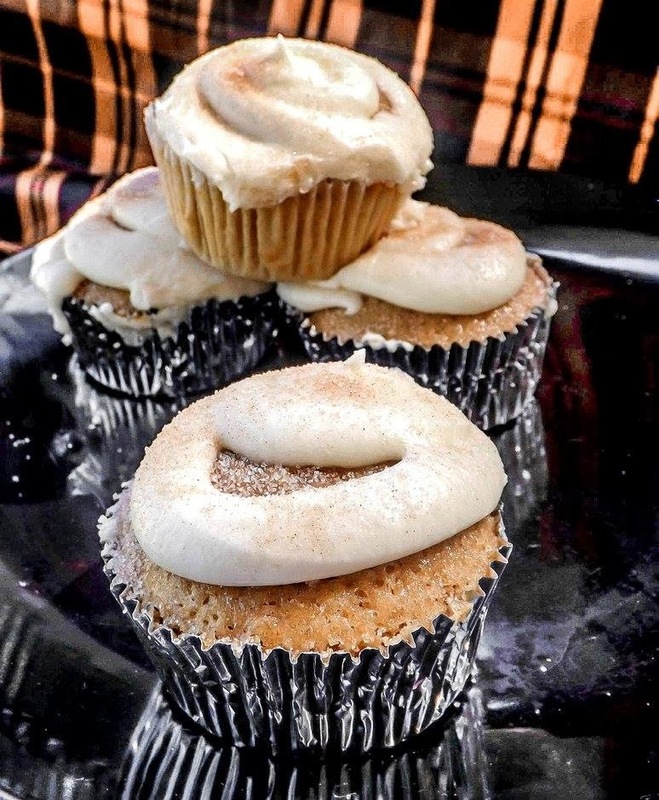 Think cinnamon cake with basic vanilla frosting sprinkled with cinnamon sugar. A huge thanks to Funky Junk Interiors for photo editing help! Preheat oven to 350 degrees. Line muffin tin with liners. In a medium bowl, soft flour baking powder, salt and cinnamon. In a large bowl, cream together margarine and sugar until fluffy. Add eggs one at a time, scraping the sides of the bowl as you go. Add vanilla. Lower mixer speed to low. Slowly and add the flour mixture, alternating with the milk. Be sure it is fully mixed after each addition. Fill each muffin cup 3/4 full. Bake for 20 minutes. Cool completely before frosting. Then sprinkle with cinnamon sugar. Beat margarine until fluffy. Slowly add in powdered sugar. Once it is all mixed in, beat in milk and vanilla on high speed. 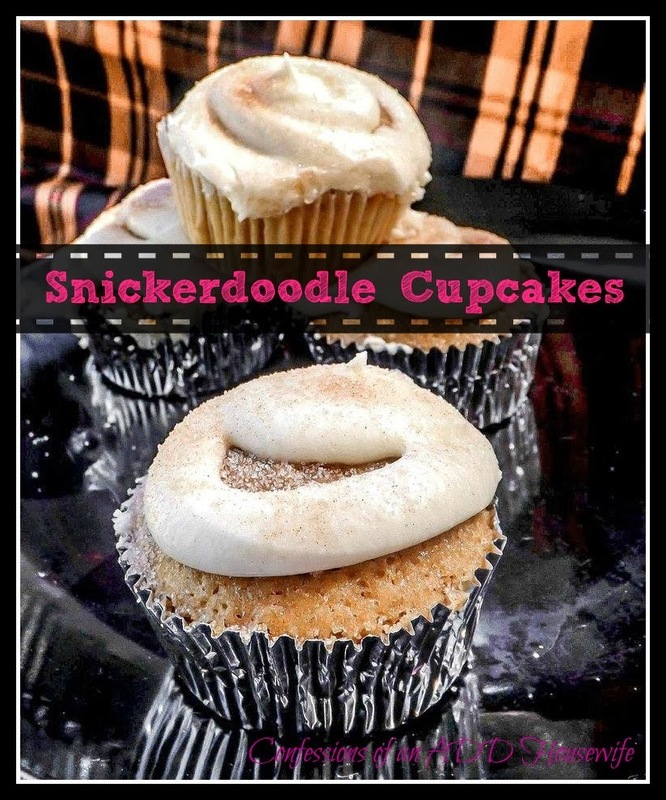 Oh my, these sound awesome and look so tasty. I am pinning for future use. My son still eats hearty at 53 and I remember feeding teens. We always said "Teens have hollow legs".